TIFF files can be compressed by about 8 different algorithms. To differ uncompressed TIFF files from compressed, you need to open them in a graphic editor and dig into their properties. If you find a way how to know the compression of the TIFF file quickly, use Tiff Teller. This program is made to tell you all information about your TIFF files, listing detailed description of each file in a handy table. It is a perfect way to analyze the properties of many files at once without opening them one-by-one. The set of visible parameters is adjustable - you can exclude all unneeded items and add those ones which you require. 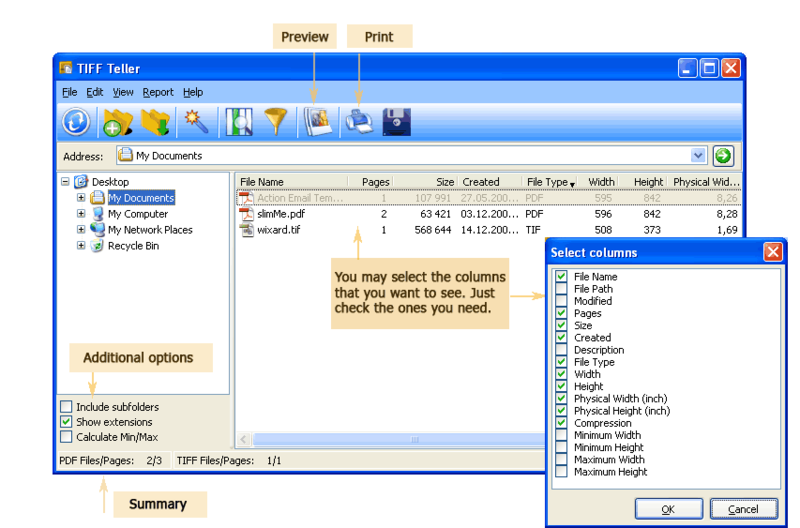 Then the table can be exported to a report file in PDF, CSV, TXT, XLS, DOC and few other formats. You can list TIFF files sorted by any parameters. This way you can separate compressed and uncompressed files, for example. 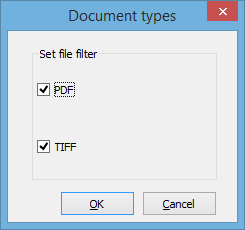 TiffTeller is a highly useful program for reviewing and analyzing TIFF or PDF files properties. It works with any number of files stored in one folder. Select your license and place an order now. The key will be sent immediately.